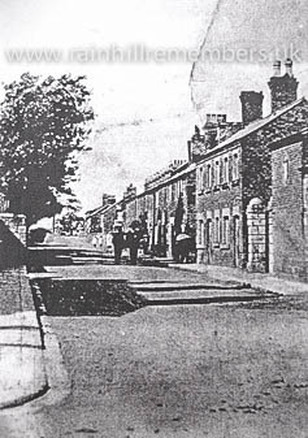 Holt Lane in the early twentieth century looking from Warrington Road with the Holt pub on the left. The 1911 Census shows John living with his mother Caroline, two brothers and one sister at 16 Holt Lane with his age given as 12. By the time he joined up the family were living at 4 Holt Lane. His correct age is confirmed by the 1901 Census showing the family living at Fairs Cottage, with John's age given as 2.
in September 1915 as being underage.